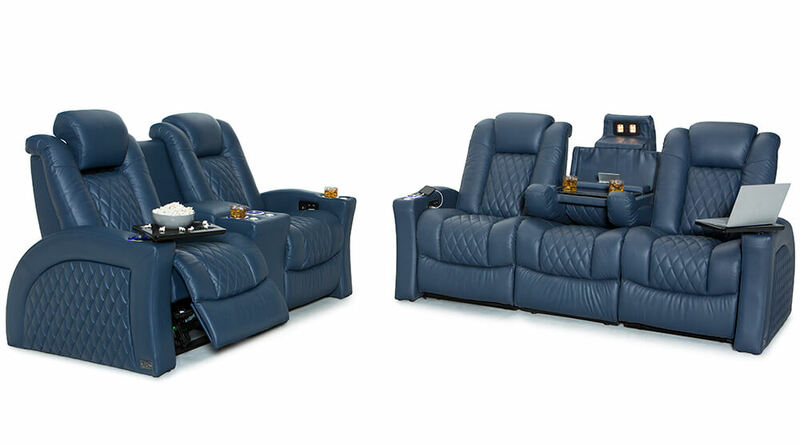 The Cadence Multimedia Seating signifies incredible advances in Home Theater Seating by implementing Comfort View Ergo in a sofa and loveseat format. The Cadence is one of the only sofa/loveseat combos available in the world to offer power lumbar support, and at a legendary value with its inundation of features, craftsmanship, and materials. 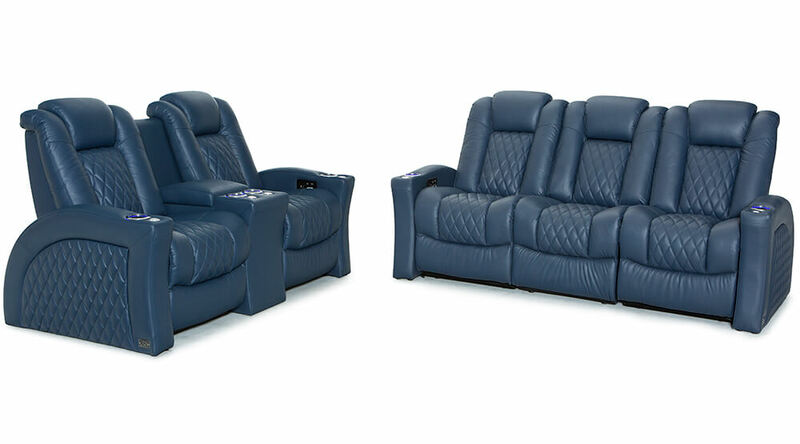 Comfort View Ergo chairs are equipped with 2 features; Power Adjustable Headrests and Adjustable Power Lumbar that when combined provide a large array of recline position to perfectly meet anyone’s seating needs. A USB charging station is included on the power recliner switch to power up most common devices. 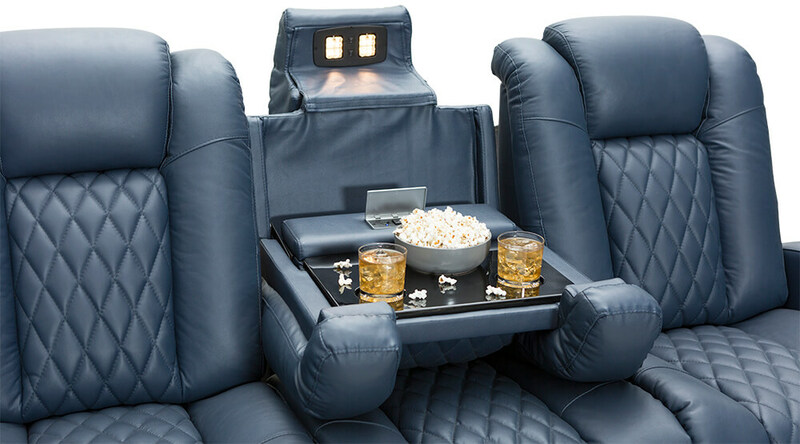 A removable tray table accessory is included for free with every single chair to place snacks. 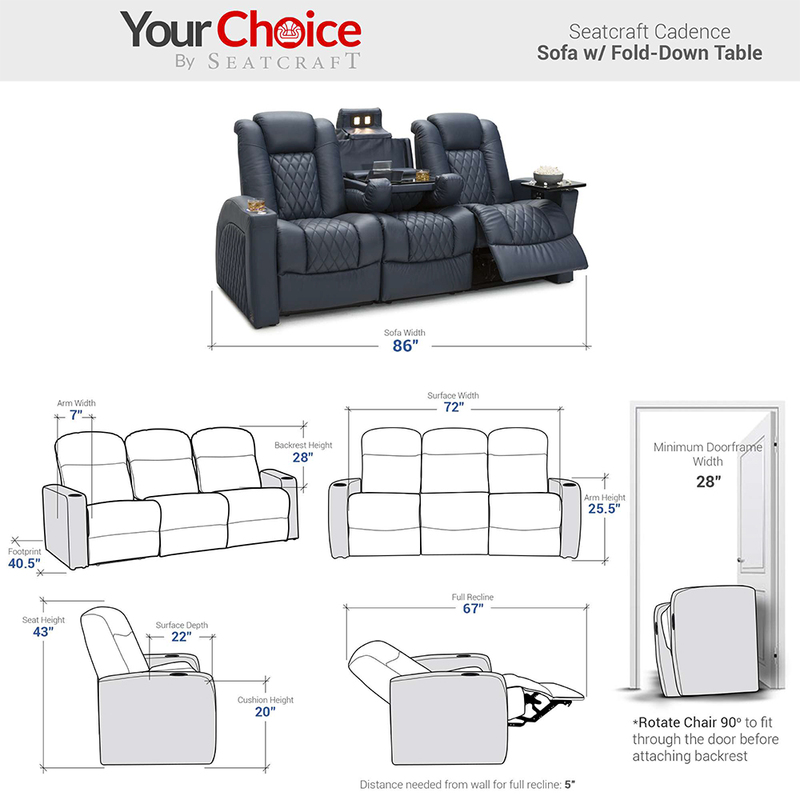 The Seatcraft Cadence has a unique look, a galore of features, and top-tier construction that makes it the right purchase for those seeking the maximum home theater seating performance. 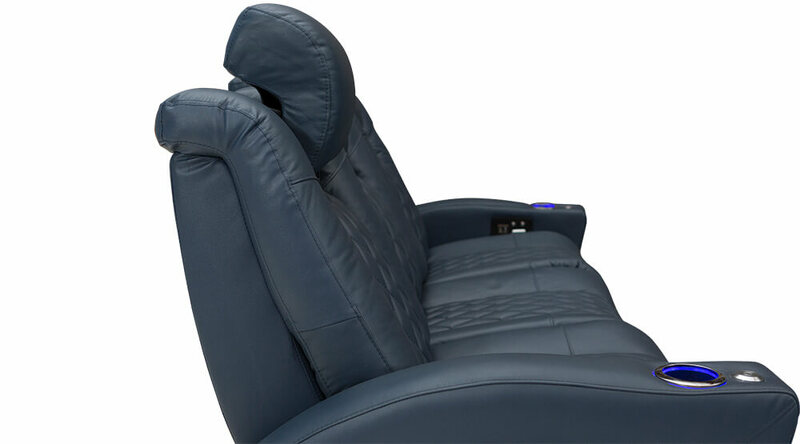 These headrests can be powered to stay in any desired position at the touch of a button, providing full neck and head support for any preference of incline. 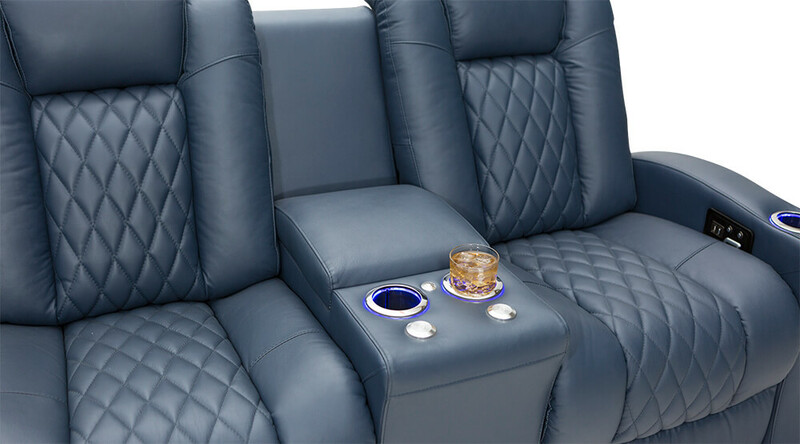 Be inside your favorite movies and hear every heartbeat, engine, explosion, or footstep at just the right intensity, as SoundShaker sends vibrations into the chair in sync with the on-screen action, only requiring a SoundShaker amplifier to be hooked up. 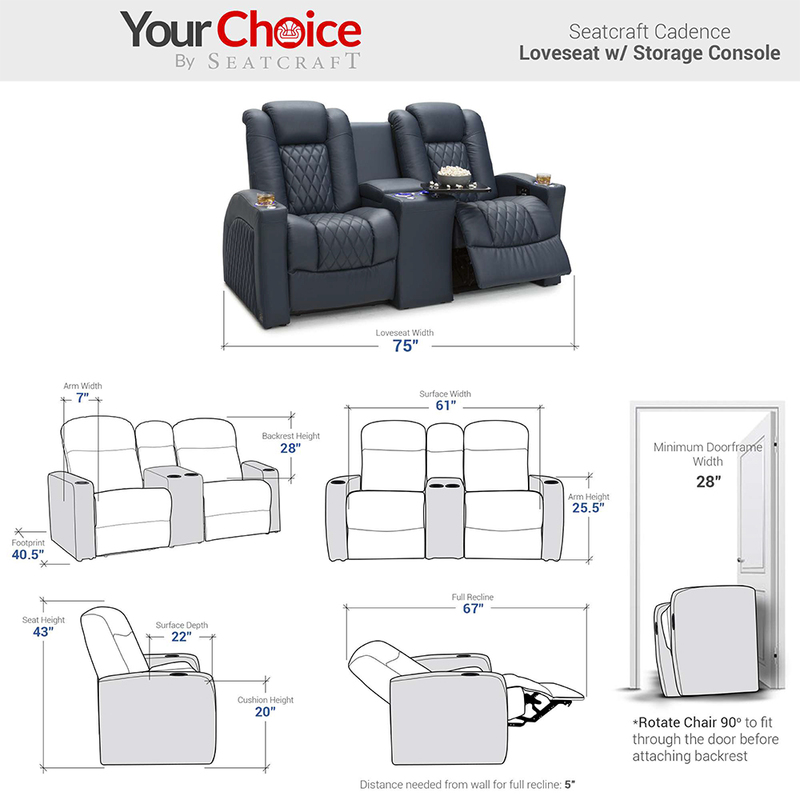 Giving your back the support it needs with the push of a button, Seatcraft Comfortview powered lumbar chairs support the bodies’ natural curvature with ease. Inside the Cadence’s silent open & close storage console are two AC outlets and two USB charging ports, effortlessly keeping any of your devices charged and ready for use. Each armrest features a USB Charging recline switch, allowing you to charge most of your favorite devices with ease without leaving your seat or fussing to reach an outlet. 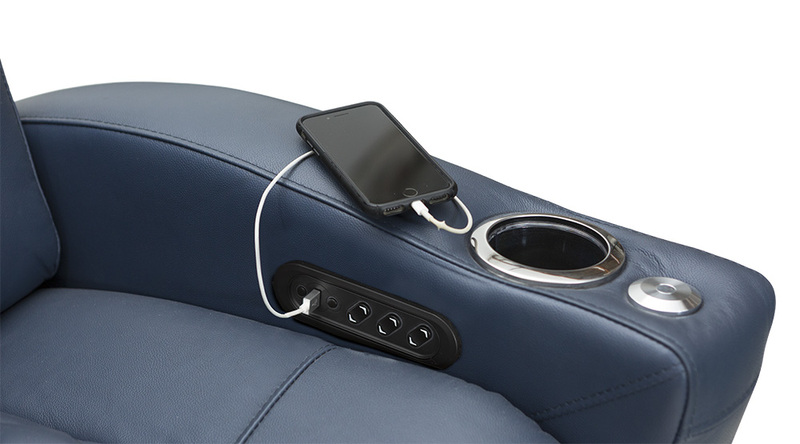 This USB & AC charging panel found in the Cadence sofa’s fold-down table allows one to charge cell phones and laptops with ease, even further increasing the range of entertainment options at your disposal. This spacious, polished black fold down table features a multitude of features, from lights, to charging ports, and two lighted cupholders for all your electronics and beverage necessities. 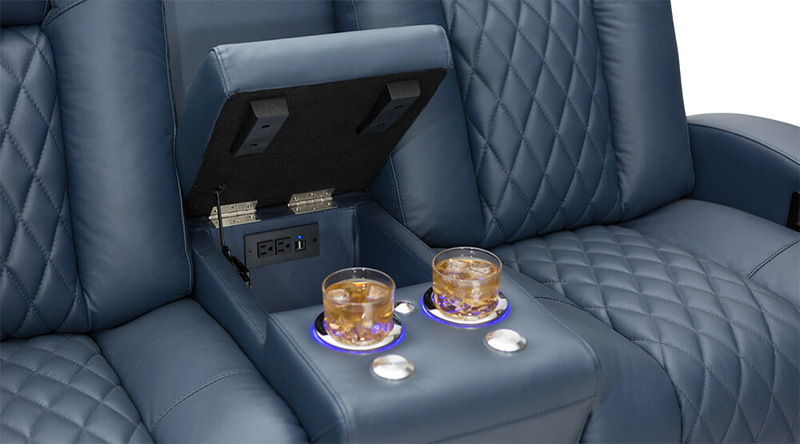 A padded storage console opens up to reveal plenty of storage room, with two additional cupholders placed on the front of the console. Removable swivel tray table with a polished black finish. 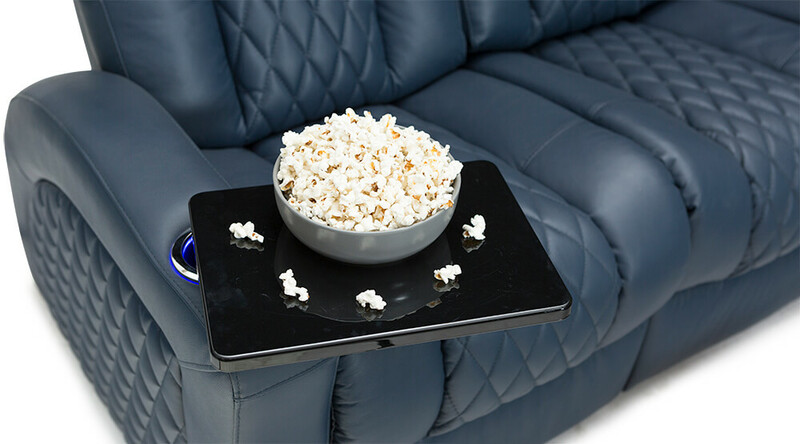 Place and keep snacks, remotes and drinks within easy reach, and off to the side when not needed. 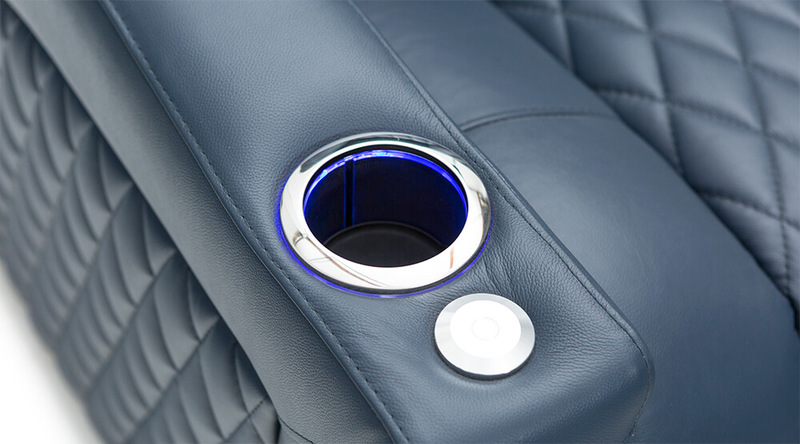 Keeping drinks always within reach, these sleek cupholders can emit their sapphire blue glow to illuminate your drinks in the dark at the press of a button from the recline switch.